Emoji has become a universal language of its own, but up until now there wasn’t one for people to say “I’m on my period” — and that’s more important than you might think. This bloody brilliant news came earlier this month when the Unicode Consortium (the official body that manages emoji worldwide) confirmed in a blogpost that they had approved 59 new emoji designs, including a “drop of blood” that will be added to our emoji catalog in spring this year after more than 55,000 people voted for it. This is all thanks to a girls-focused development charity, Plan International UK and Plan Australia. In 2017, they launched a campaign to create a period emoji in an attempt to reduce the taboo surrounding period and menstrual health. After finding that 47 percent of girls and women in in the UK, aged between 14 and 21, were embarrassed by their periods. “Menstruation taboo is a huge problem for girls worldwide. Girls are missing school and face bullying and unfair treatment,” Susanne Legena, CEO at Plan Australia told TNW. Until now, women were limited to the erupting volcano 🌋, the red heart ❤️, the red rose 🌹, and the sassy flamenco dancer 💃 to represent their time of the month, and none of them really do the trick. Last year, Plan International pitched five emoji period designs to the Unicode Consortium that realistically represented what a period looks like. These included: a sanitary towel, a diagram of a uterus, a pair of period pants, a calendar, and blood droplets. An emoji may seem like a small change that could go unnoticed, but representation in emoji form is important as we’ve seen for red haired people and the transgender community. As well as the blood drop design, we’ll also be seeing dozens of graphics illustrating disability and accessibility, including prosthetic limbs, people using mobility aids, and hearing aids. 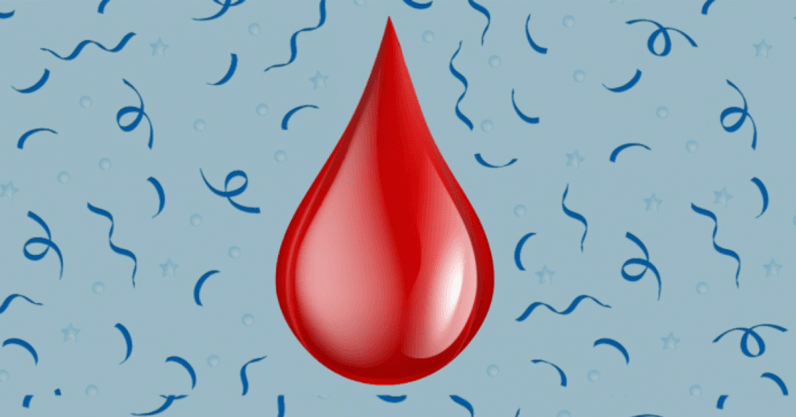 Although it doesn’t seem like the world is ready for the realities of what a period actually looks like in emoji form, having a simple blood drop is a step in the right direction to ending the taboo surrounding what happens to half the world’s population every month.